The supportive environment never made things feels like a chore> Andrew Tollinton arranged the venue and Nadine ,Nick ,Simon and Chief Judge Andy O’Sullivan made sure everything was ready as they contacted contestants and facilitators. Everyone was in the right place at the right time! This allowed us to be treated to seven prepared speeches and a target speaker, David Banfro, who came from outside District 91 for our eight contestants to evaluate. Lynne Cantor was the Contest Chair for the Table Topics Contest. She maintained the high standard that had been seen and heard in the Humorous Speech contest.There were some very clever answers to the question…If you excluded Cars and the mobile phone, what would you uninvent? Saturday 1 October was the date of the Area L61 Contests: Humorous Speech and Table Topics. It was an afternoon lots of laughter and camaraderie as we moved from the club to area level of the contests. Many things were shared, even what one contestant still thought about John Travolta after all these years and much was learned about the Table Topics contestants who told us what they would do with the second of three wishes that they were granted. All the competitors in the Area L61 contests made winning very worthwhile such was the high standard. 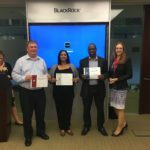 The Humorous Speech contest was between Mopani Mkandwire, Sofia Geraghty, Gill Ornstein, Warren Sheng , Amapro Villamil and Steffy Samuel. First, second and third were Mopani, Sofia and Gill respectively. The Table Topics Contest was keenly fought with six challengers: Angela Lansbury, David Phelops, Pam Attfield, Thulasi Arunthavanathan, Steffy Samuel and Andrew Kiely. First, second and third were Angela, David and Pam. 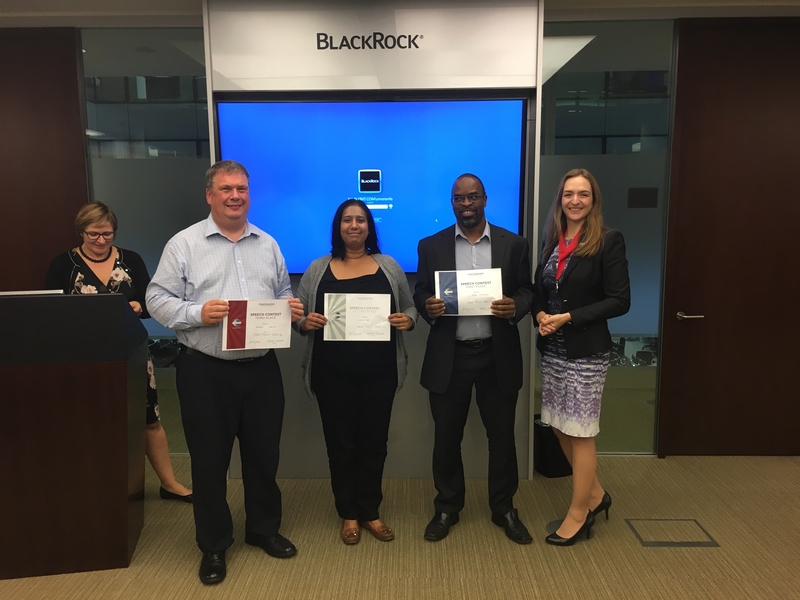 We are very pleased to see Mopani and Warren and Angela and David go through to the Division Contests which are being held at the London Business School on Saturday 15 October 2016. Please follow the link to get your free tickets for what promise to be excellent contests. On Thursday 29 September 2016 the Area L9 Humorous Speech and Table Topics competition took place in The Plough public house. We were treated to an evening filled laughter, and feats of eloquence! All four competitors in each competition set high standards for themselves and raised the bar for the Area’s clubs. The Humorous Speech contest was between Irene Bradshaw, Philippa Ellis, Francine Legrand and Mike Thompson. Irene Bradshaw was not a stranger to the contest, having competed the previous year, and took First Place. Philippa was a strong contender placing in Second. 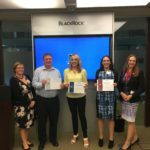 The Table Topics competition was keenly contested by four challengers: Freddie Daniels, Daniel Broadhead, Sara Thomas, and Simon Cooper. First and second place finishers were Freddie and Daniel with their energetic and passionate impromptu speeches. We are very pleased to see Irene, Philippa, Freddie, and Daniel go through to the Division Contests which are being held at the London Business School on Saturday 15 October. Area L56 Humorous Speech and Table Topics Contests. It was an evening filled with joy, laughter and we also had a special non toastmasters guest, Sophie Clark, who came to talk to us about the importance of how we communicate,she was very impressed with the standard of the competitions. All five competitors in each competition made both competitions worth winning such was the high standard. The Humorous Speech contest was between Sarah Mannan, Matthew Robinson, Jane Harries, Caroline Moronfolu and Andy Strang. First, second and third were Sarah, Matthew and Jane respectively. The Table Topics competition was keenly contested by five challengers, Jason Thompson, Sayara Beg, Matthew Robinson, Richard Balfour and Rudi Yagor. First, second and third were Jason, Sayara and Matthew. 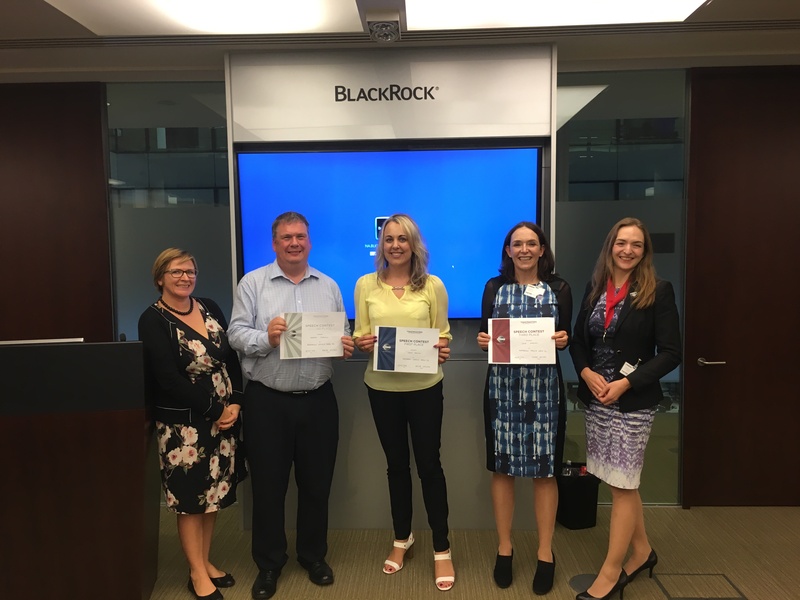 We are very pleased to see Sarah and Matthew and Jason and Sayara go through to the Division Contests which are to be held at the London Business School on the 15 October 2016. Please follow the link to get your tickets for what promises to be very good contests.